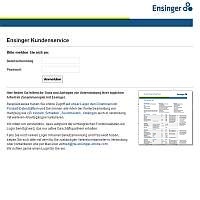 Here you will find helpful tools and queries to support you in your daily work with Ensinger. All visitors have online access to our stock and the product data-sheets . In addition there are wide functions for active business partners. For instance you can calculate any type of stock shapes processing such as planing, grinding, cutting and rod/tube calculations - even in conjunction with further operations. We kindly ask you for your understanding that due to the wide functions involved, these services are offered in a log-in area which is reserved for active business partners. If you are interested in these additional functions, please contact your usual sales person or send us an email at: halbzeuge@ensinger-online.com. We will be pleased to provide login details for you.